Do you remember when your parents told you that life is full of disappointment? Well apparently, that was a lesson never taught in the Loman household. Philip Seymour Hoffman stars as Willy Loman in this A-list revival of Arthur Miller’s classic play about a salesman dissatisfied with what the fruits of his life-long labor have bore for his family. Linda Emond and Andrew Garfield (of The Social Network and this summer’s The Amazing Spider-Man) co-star as Willy’s wife and oldest son. Together, they form a most unhappy family; yet they do so magnificently. There is some incredible acting on display at the Barrymore Theatre in Death of a Salesman. Oscar winner and critical darling Hoffman plays Willy with bewilderment and anguish, while Garfield, one of Hollywood’s newest and hottest stars, inhabits Biff with enough rage and crying snot to garner an early decision Tony nomination. 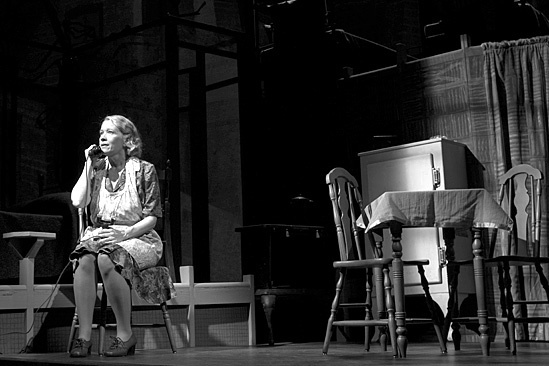 Screaming on stage is epically dramatic, and the two men do plenty of it; however, Emond conveys an equal amount of raw emotion as Linda without ever raising her voice. As Willy’s Penelope of a wife, Linda stands steadily by her husband’s side through the confident highs and the embarrassing lows. She earnestly tells him that he is the handsomest man there is, Emond emanating with warmth and affection. Emond displays an unquestionable understanding of what kind of man her husband is and what he needs. Her shining scenes come when she holds no truth back from her feuding sons, and not even for her own children will she forsake her husband. Emond shuffles along the stage with a defeated, emotion-torn spirit. Her Linda is tired of hardship and strife, and when she sighs, it’s clear enough to feel it in your own gut as well. And Linda won’t be losing her voice at the end of her run like her co-stars. 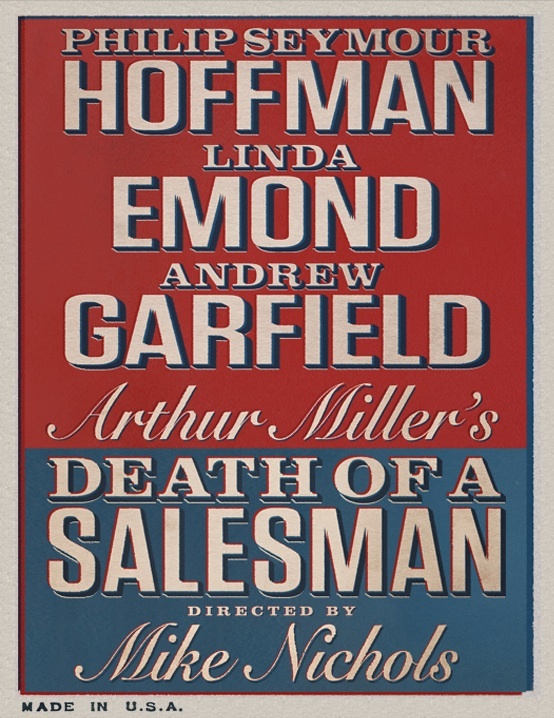 Death of a Salesman general rush policy: Beginning when the box office opens, buyers under 30 years old may purchase up to two tickets for $30 each. I’m incredibly curious for this, but i’m worried about them screaming at each other and whether or not that’s the easy way out as far as conveying the emotion of the piece.